Nana's are the best and they make Thanksgiving even better. 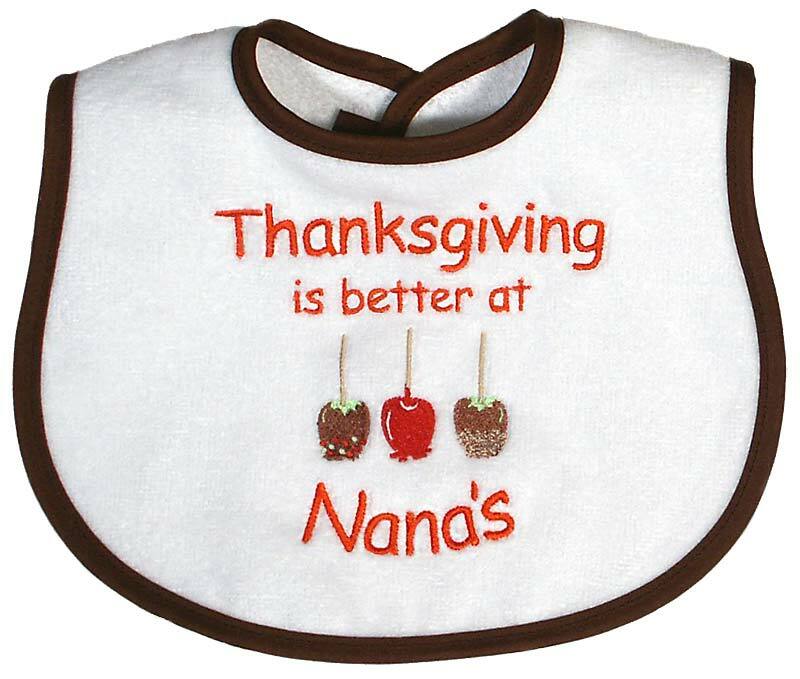 This "Thanksgiving is Better at Nana's," embroidered bib is not only for the baby but also for Nana, because it honors her and the role she plays in families. All of a baby's basic needs and more are met in this, made in America, embroidered, 100% cotton velour terry bib. Why is this top quality bib so supper absorbent and soft next to baby's delicate skin? Because there is no polyester in our fabric. It will continue to wear and wash beautifully and coordinate with a multitude of Thanksgiving outfits. This Nana bib is unisex, which is for a boy or a girl, and there is a unisex Grandma version, as well.